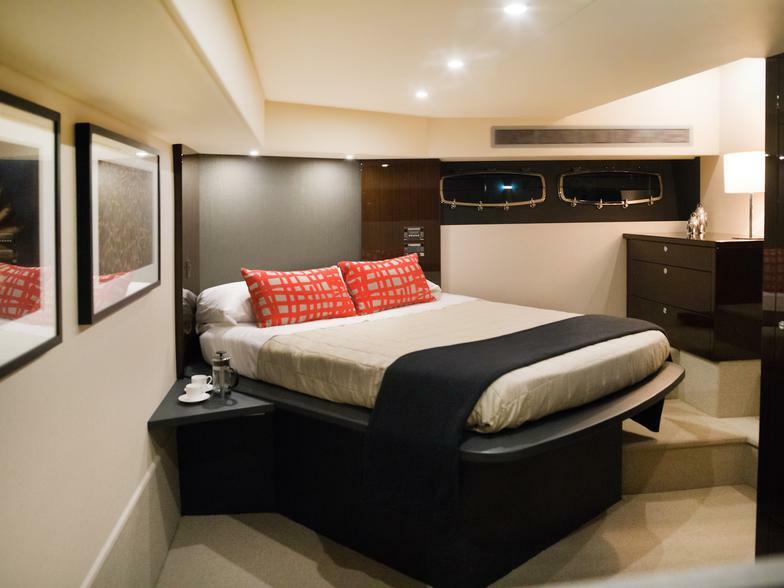 The Maritimo M51 demonstrates what can and should be done when you enter the world of luxury high performance yacht with an all-weather enclosed flybridge. 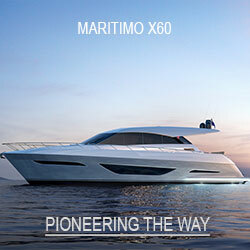 Crafted by the same team that produces Maritimo 175 kph offshore race boats to create this stunning well-engineered yacht. 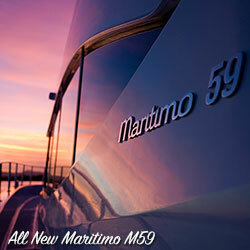 Maritimo M51 hull design and race-bred direct shaft drive create a boat with superb balance, poise and fuel efficiency. 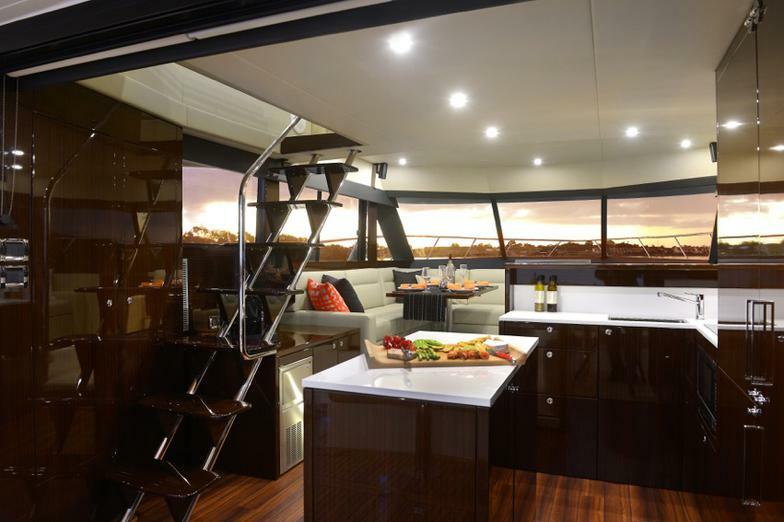 The M51 sets a new standard featuring a stylish internal staircase leading to an enclosed air-conditioned flybridge, which also double as an upstairs living area with an optional fold out sofa. 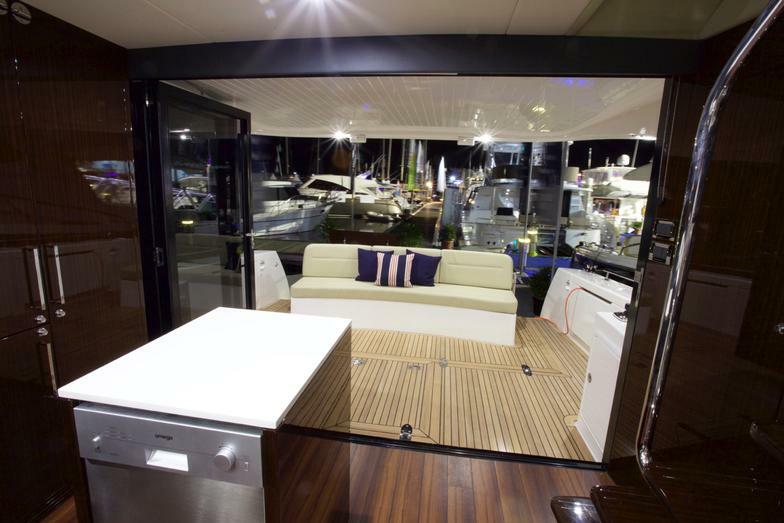 Featuring an impressive full beamy master cabin below deck and an innovative third cabin to starboard which you can opt as a utility room if preferred. 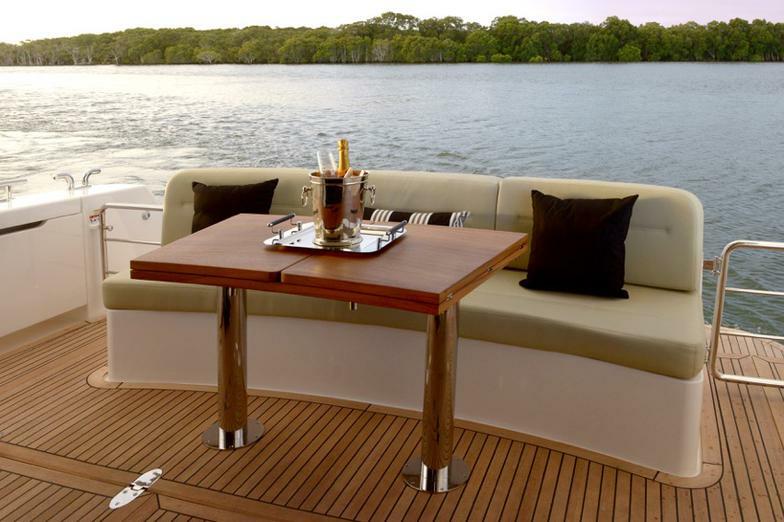 Simple ideas that are often overlooked make all the difference. 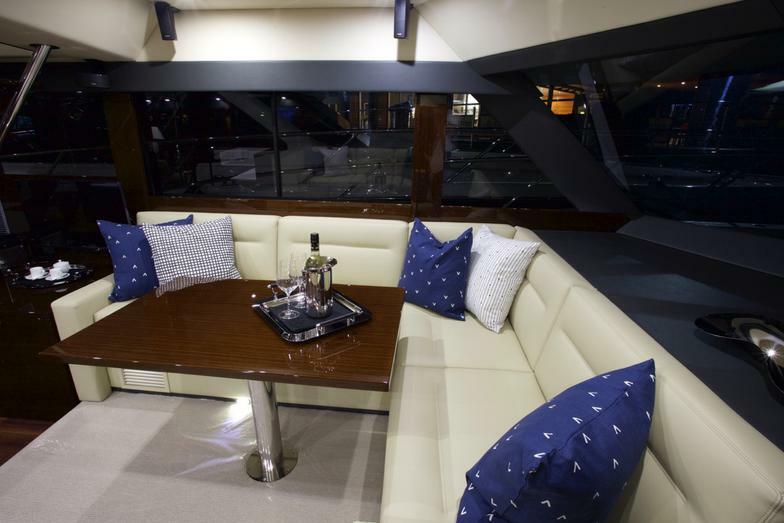 These Maritimo hallmarks include safe, wide, walk around decks for easy berthing and aft bi-fold doors to the rear cockpit, which together with a generously proportioned aft galley, amplify the living space and make relaxation a breeze. 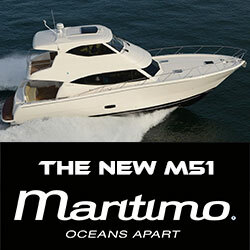 The Maritimo M51 can be configured to cruise or fish with various cockpit design for the most discerning owners. 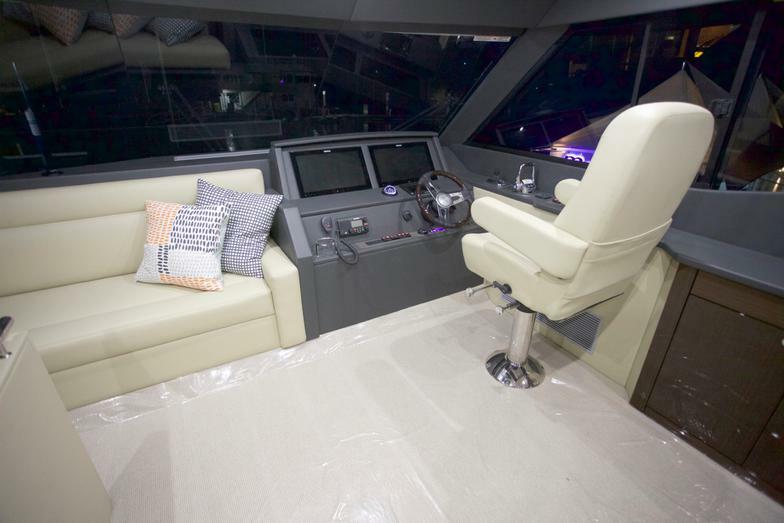 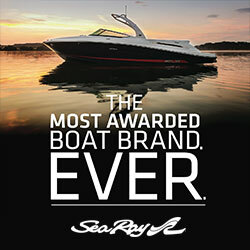 The standard Euro-transom allow for a long cockpit seating for social gathering while fishing fanatics will appreciate the optional fish cockpit layout with 2 x live bait well, fish boxes and optional outriggers. 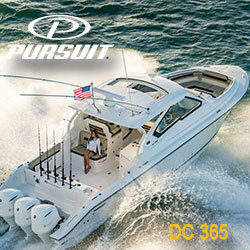 The flat walking foredeck will be a joy for those seeking to cast your lures in the front with ease. 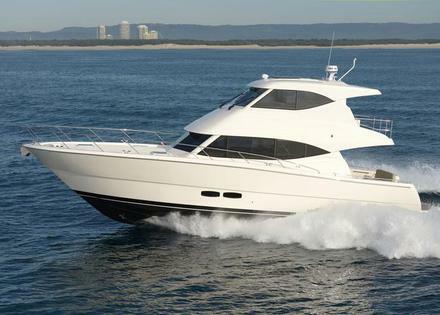 With already four Maritimo M51 sold and delivered by SGBoating since the M51 model was first introduce in late 2016, let us custom and put together your very own Maritimo M51 to take you further in search of your voyaging dreams!